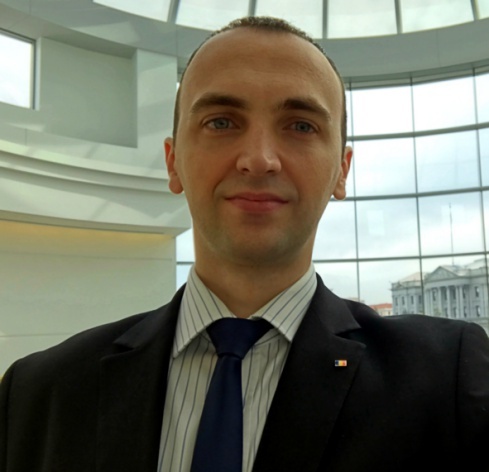 Alex works as a judge and since 2016 he is the president of 2nd District Bucharest Court position through which he implements the principles of judicial management in order to improve the quality of public service provided by the judiciary. He promotes team work, assertive communication and strong commitment to general interest knowing that a leader builds strong relations not only in his organization but also in his community, making a difference in society. Also he is a trainer at the National Institute of Magistracy and he teaches commercial law to future magistrates ensuring multipurpose training and proving a proactive role in the judiciary. He has high moral standards, a special interest for leadership and he strongly believes that a healthy democracy it is not possible without a strong rule of law. Last but not least, Alex is an alumnus of “Leaders for justice Program” 2011 and a member of the NGO LiderJust contributing significantly in the implementation of various projects (“Career compass”, “Regional legal forum do it now generation of justice”, “LiderJust Caffé”).